Kevin: There are two ways in which I analyze this episode. The first is as a character story, and on this point, the episode certainly excels. The goodbye with Paris, with both Neelix and Kim felt very heartfelt. It's a good job that Neelix has been so successfully rehabilitated, as he really has the ability to anchor with the episode without me wanting claw my own eyes out. The humor largely landed well, and his form of persistent irritation was funny and again, not eye-claw-inducing. The other part of the character story I liked was seeing Chakotay he had been duped by people he trusted...again. I like seeing Janeway's conflict at what she thought was necessary, and I just wish they had twisted the knife a little harder on the idea that maybe her relationship with Chakotay was actually damaged. Still, overall, I enjoyed watching the characters interact over the course of the episode. Matthew: I very much agree with the emotional impact of the farewell scenes. It's this kind of stuff that really cements our caring for the characters, seeing them care for each other. It's another installment in the development of my favorite Voyager character's story, too. I really enjoyed seeing Tom struggle with maintaining his act, because in fact he has overcome many of his problems and loves the crew. I agree that Chakotay came back into the fold a little too quickly. Another angle I would have liked to see developed is how hard it is to be undercover, the friendships Tom may have damaged. A scene of Harry struggling with his feelings would have been beneficial. Kevin: The investigation plot was less successful for me. After doing an interesting job of building the Paris plot, it resolved way to quickly for me. I think he should have been off the trip for at least the second half a two parter. It would have been more interesting to see Voyager form a new equilibrium without him. Having not heard the slightest hint of a cast shake-up rumor, I kind of knew he would be back, and it would have been more fun if it weren't half an hour later. It leads to my other problem with the investigation story, and that's Kazon, and Seska in particular being stupid. She of all people should have anticipated a double cross and not left the man in the room with the very equipment he needed to complete his mission. Matthew: I also very much agree that this was where the plot failed. There were so many inconsistencies, starting as you say with Tom being allowed to smuggle his equipment onto the Kazon ship. But it doesn't stop there. 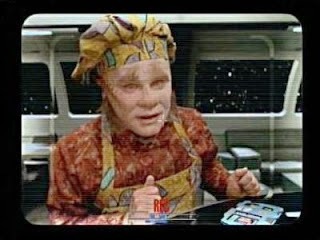 I absolutely hated the fact that Neelix could re-use Hogan's engineering authorization code to break in to a voice-recognizing computer. Jonas acts like an idiot, too. Just how did he think that slicing open Neelix's head with a laser torch would solve his problems, especially given the fact that Suder is stewing in solitary confinement at that very moment for basically the same offense? I thought Jonas went from wily schemer to buffoon at that moment. Janeway and crew have a long discussion about playing things close to the vest to avoid tipping off the mole - then she tips off the mole by telling a former Maquis over the radio that he may be rescuing Tom Paris, who may have information about the mole. Why didn't they beam Jonas out of engineering immediately upon learning he was the mole, as opposed to... you know, waiting five minutes? Kevin: Neelix's side of the investigation was a little more fun to watch. I liked watching him confront and scheme with the command crew, and the scenes with Hogan and Jonas had a fun tension. For once, tipping the hand to the viewer about who the traitor was made the episode better, since we were watching Neelix and knowing something he didn't know. Overall, I have to say I liked this attempt at serialized storytelling. It's not where Voyager is going to stay, but I liked what we got. Matthew: The basic tension was good, I agree. It was neat to see Jonas scheme in the background of scenes. I think he shouldn't have been killed - he should have been exiled from the ship and picked up by Seska to appear later. I thought the "green malfunction that vaporizes people" was a bit too convenient. On a side note, the Doctor comedy, always bumping him from the show, was a really well done note of levity in an otherwise serious plot. Kevin: Ethan Phillips really did a great job. It's not Shakespeare, but overall, I liked him here. Especially his goodbye speech about Paris was just great, and just dripping with the characters' history. His humor with the Doctor was great too. He is good at pitching his intensity and when the script serves him well, he can make it sing. Matthew: All of the "A Briefing With Neelix" scenes were excellent. They've finally found a good tone for Neelix comedy - acknowledging up front that he's a smarmy clown. But he was good in his investigation scenes, too. The goodbye speech was intercut very well with silent footage of his departure. It was very effective emotionally. Kevin: I like Robert Duncan McNeill, I just wish this episode had given him more to do. Seska was also misused this time around for me. She's veering dangerously close to Disney villainess. There was no real sense of her craft or caginess, just some shrill posturing. Matthew: Yeah, McNeill was underutilized. I think there were emotionally interesting scenes left on the table. Kevin: This episode was a mixed bag, production-wise. I never understood why some of the shots of Neelix's show seemed to have CRT scan lines. That seems like an odd choice. 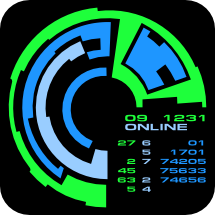 Beyond that, the shots of the Kazon ship and the shuttle were fairly standard. The final shot of the fissure in Engineering was okay, but a little overexposed adn obviously CGI for me, though that may just be because I watched the episode on the scan of the scan that makes up the Netflix episode. Matthew: I thought the Kazon ship was better done than in the past, since we got to see some corridors that made it look more like a real place. The Kazon shuttle interior and space battle effects were also pretty good. The green death haze in Engineering was pretty lame. I was OK with the scan lines, because they necessarily differentiated the morning show footage. Kevin: I am going with a 3. A lot of the one-on-one character scenes were really great and just dripping with emotion. The investigation plot was little too quickly resolved, especially given the slow burn of a buildup. Still, the episode squarely lands in the fat part of the bell curve for me. Matthew: Yeah, I want to give this a 4, but the nagging case of the dummies that this investigation plot suffered from kept it in average territory. That makes our total a 6. Fun show, but could have been more.